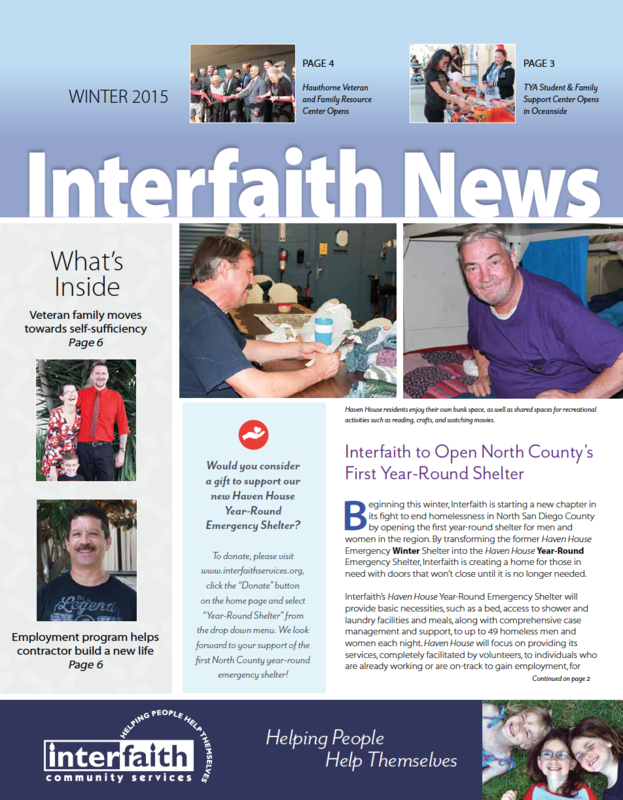 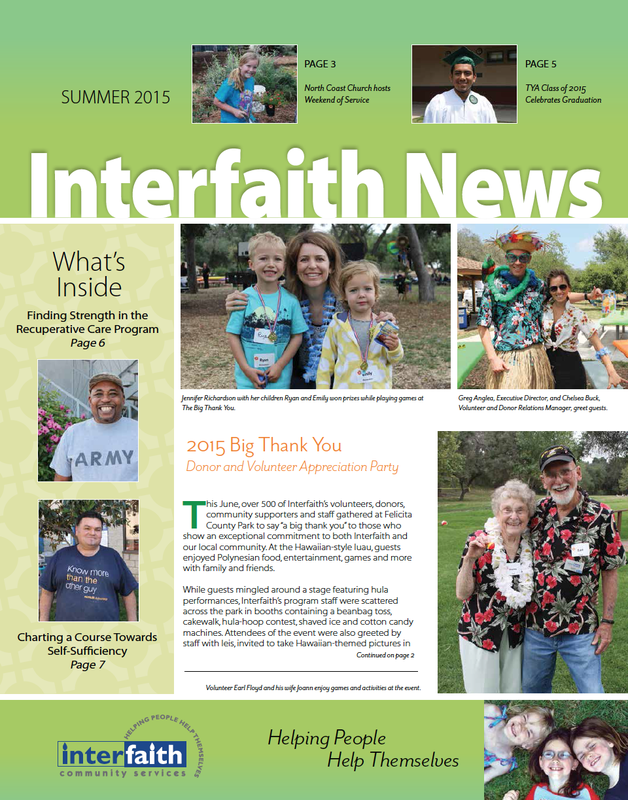 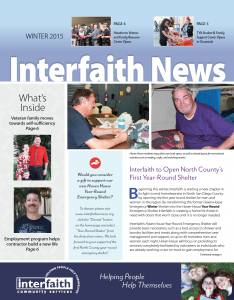 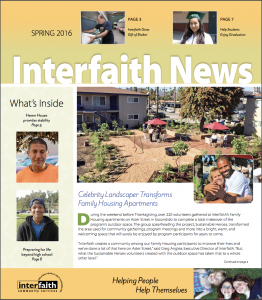 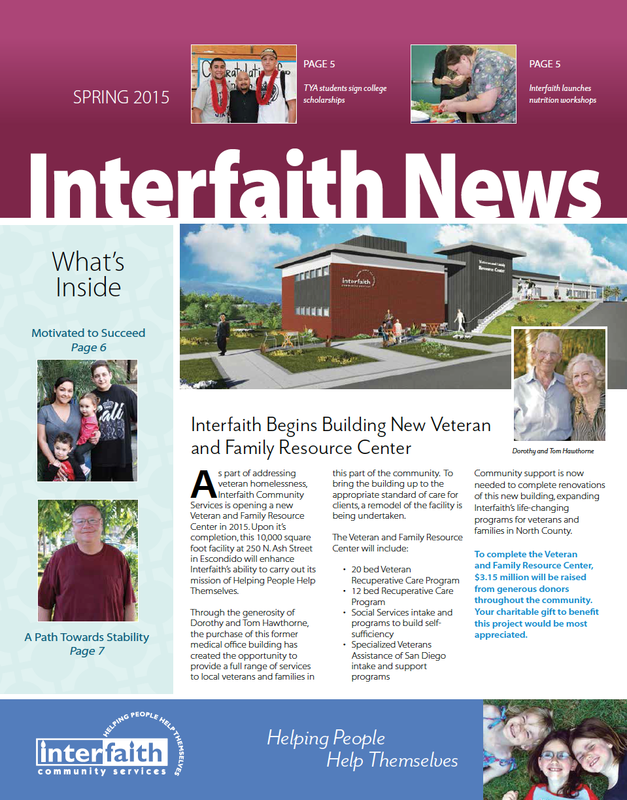 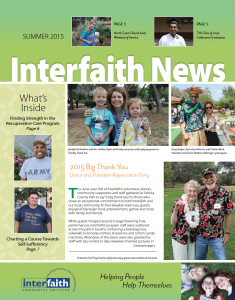 Stay up-to-date with Interfaith by clicking on one of our newsletters below. 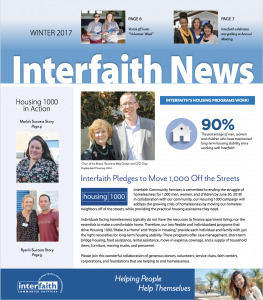 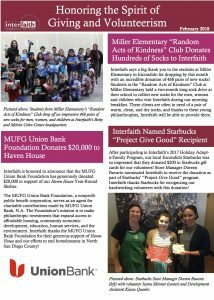 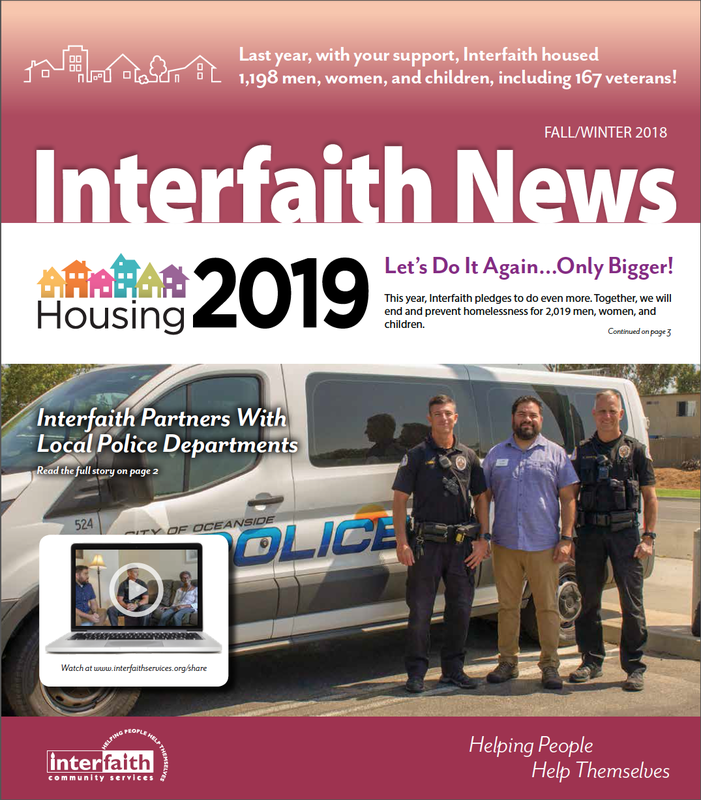 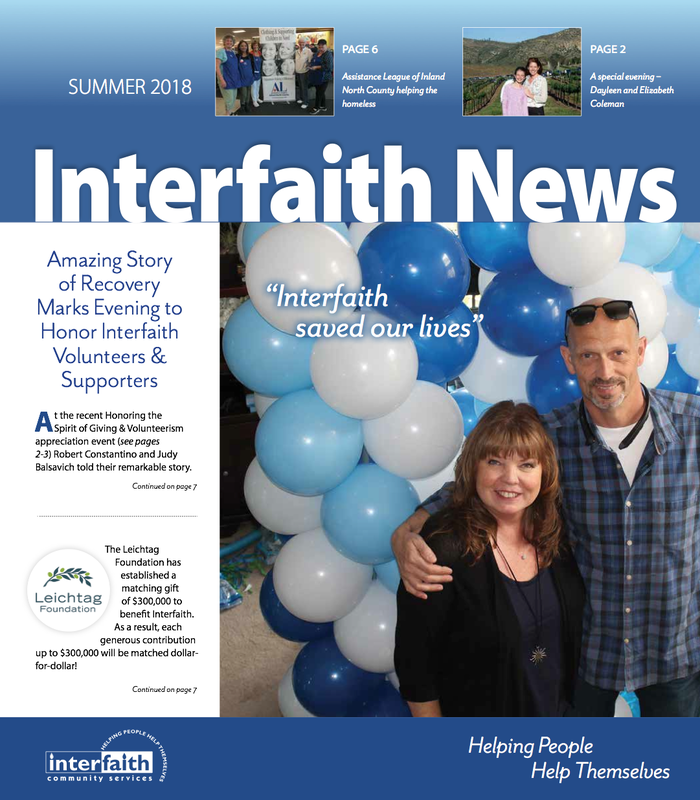 Interfaith News is a print newsletter published three times a year and mailed to Interfaith donors, volunteers, and community supporters. 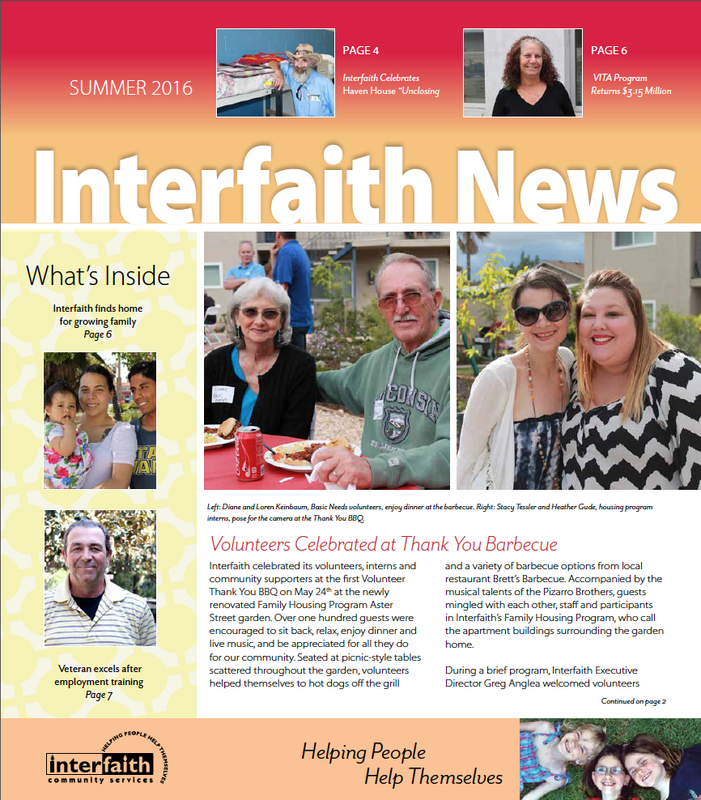 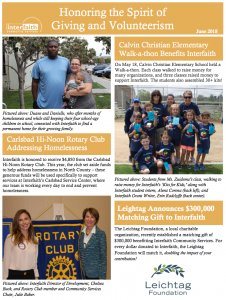 Each edition highlights events, client stories, donations, program updates, volunteer projects and more to keep you informed of the latest Interfaith happenings. 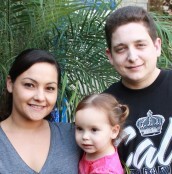 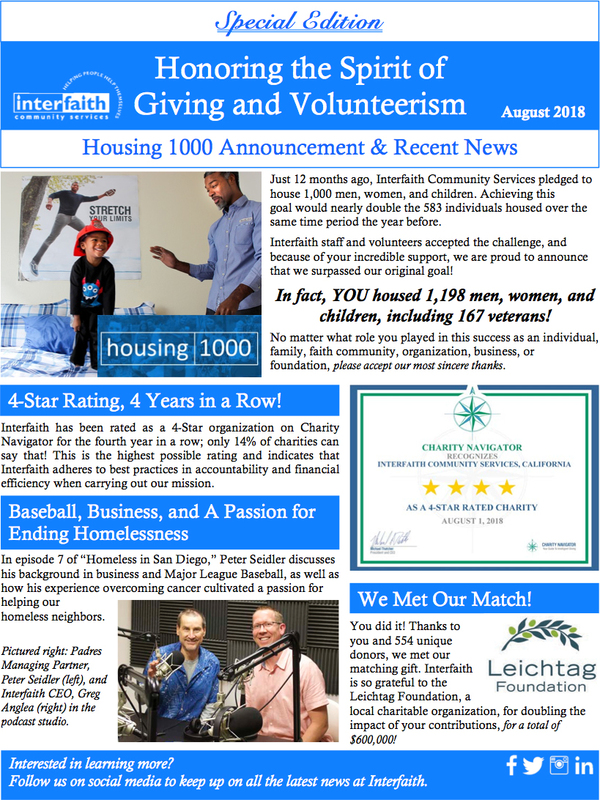 If you are currently not on our mailing list and would like to begin receiving this newsletter, please click here. 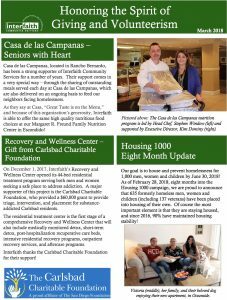 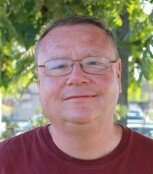 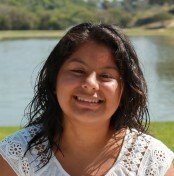 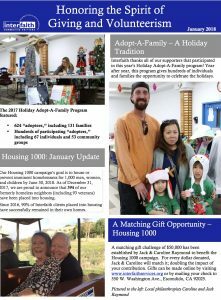 Newsletters are in .pdf format and require Adobe Acrobat Reader which you can download for free. 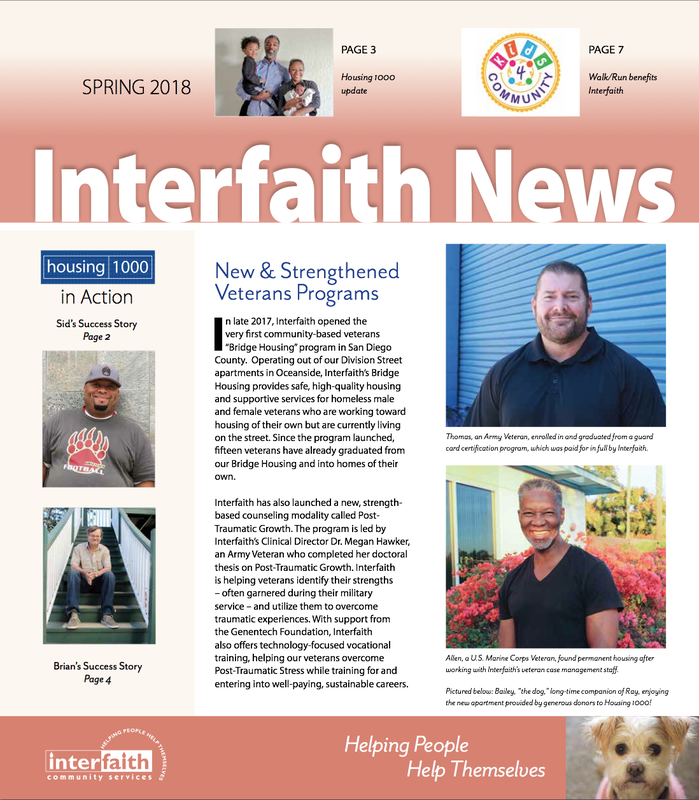 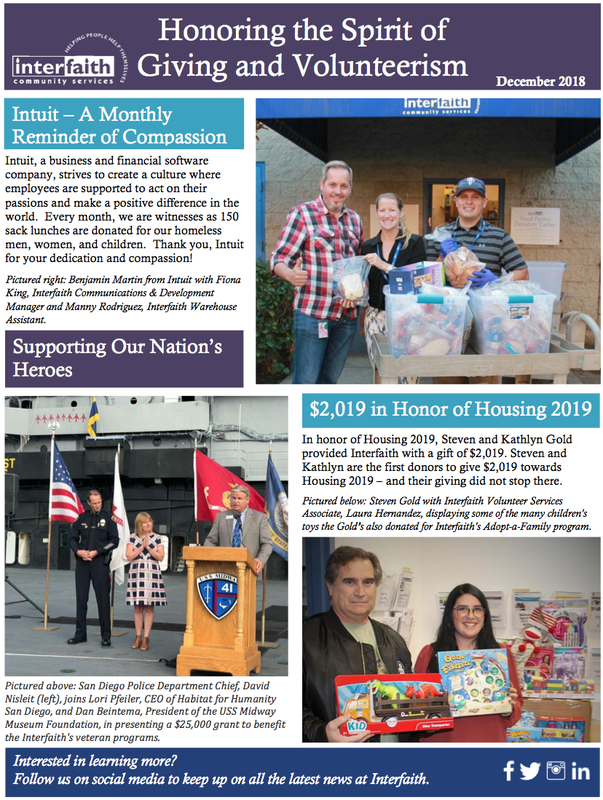 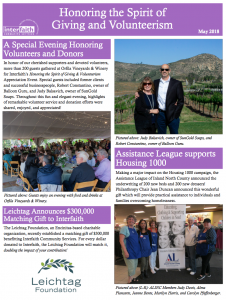 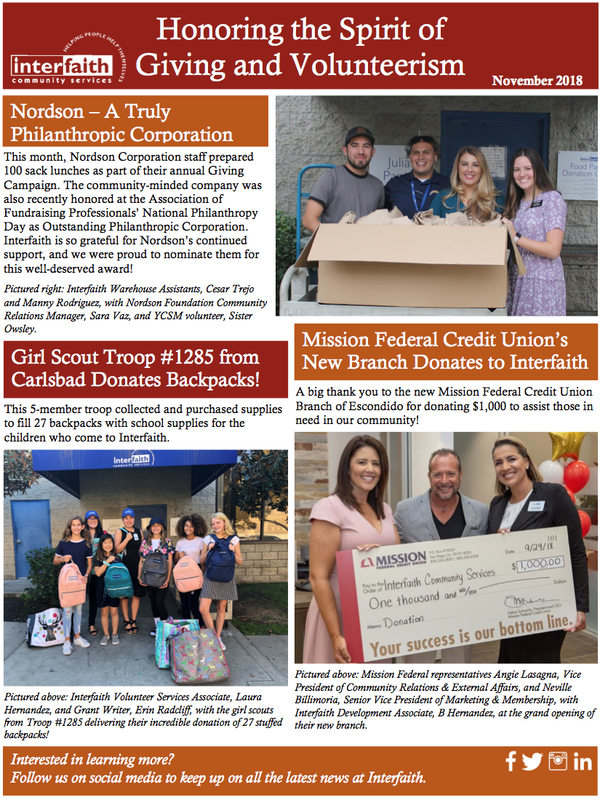 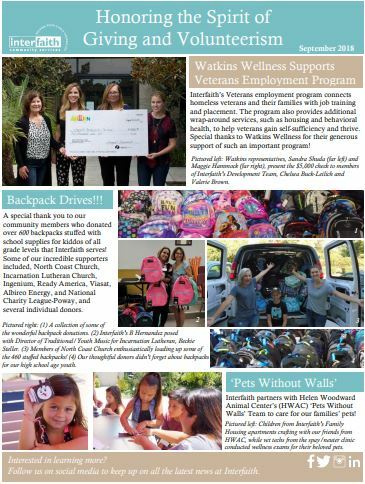 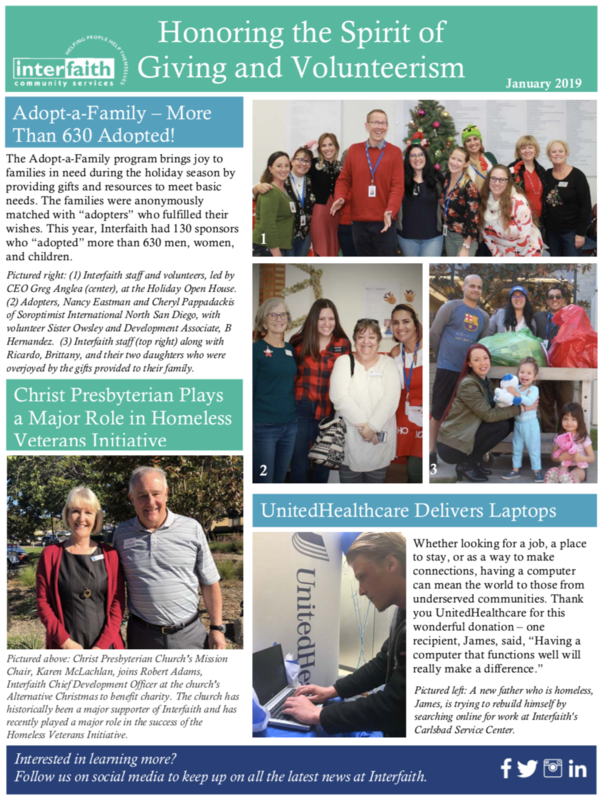 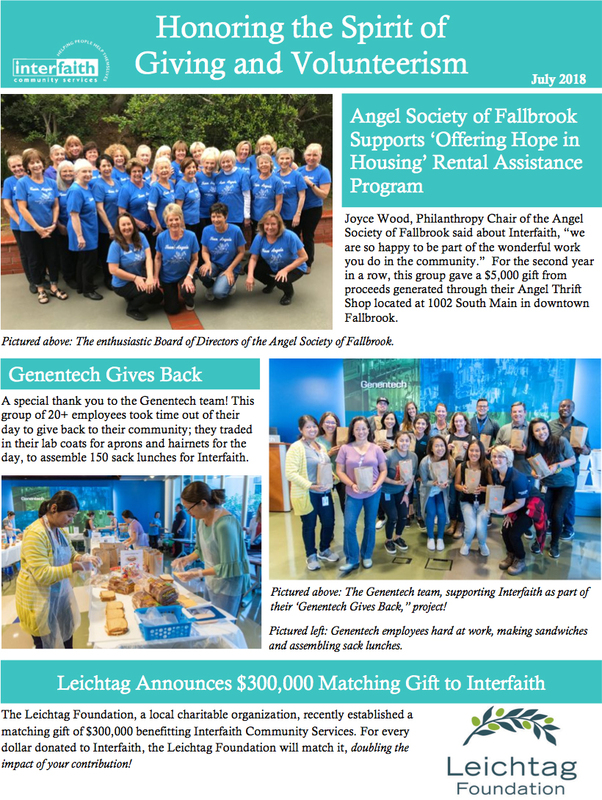 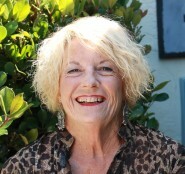 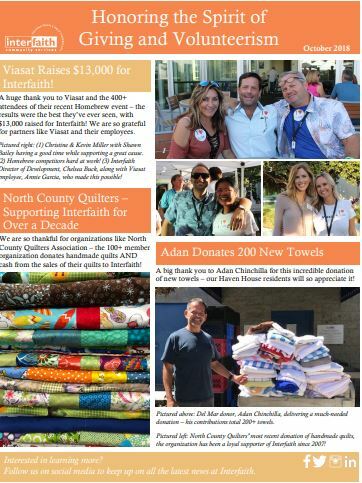 The Honoring the Spirit of Giving and Volunteerism is a monthly publication that Interfaith distributes to highlight a few of the incredible volunteer projects, donations, achievements and community events from the previous month.